While we were away in December the tip of the gable of the church at Charnizay crashed to the ground early on the morning of the twelfth. 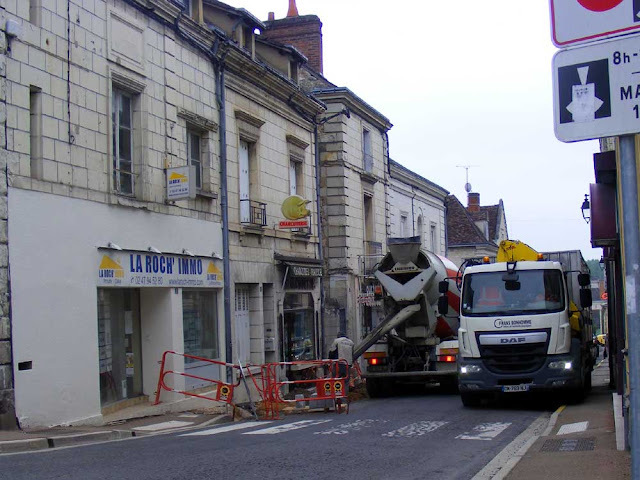 The Saint-Flovier fire brigade attended and they called in their colleagues from Loches for assistance and they set up a detour. By the end of the morning they had stabilised all the loose stones and covered the hole at the top of the church with a tarpaulin. While restoration was awaited the building was surrounded by a barricade and temporary porch added above the door. The church was closed to the public, including worshippers. 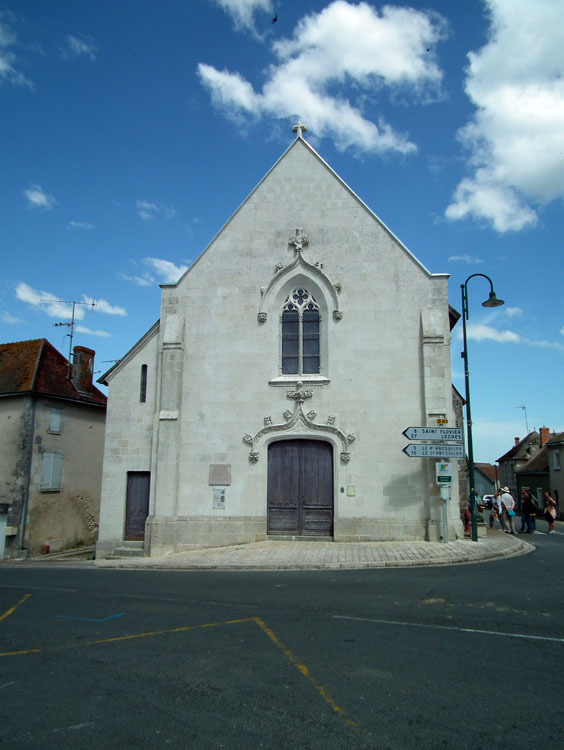 After a somewhat unseemly period of negotiation during which the commune quibbled about paying the insurance excess of about €350, the church has now been beautifully repaired. The scaffolding came down about a week ago to reveal the above. Despite driving past regularly we never got round to photographing the church with all its temporary health and safety precautions. A search of our photo archive has brought to light that we have never photographed the church at all, in ten years of driving past it several times a month! 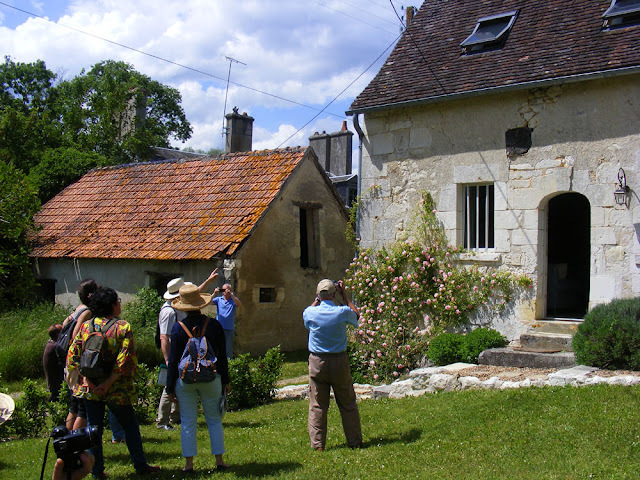 On Saturday 26 May the Association de Patrimoine Vivant de la vallée de la Claise (PVCT) organised an outing to see some sundials, led by Joël Rodenburger. The meeting place was the lane up to a hamlet called les Bienneries (an old word for 'well behaved', so literally, 'the goodies'). 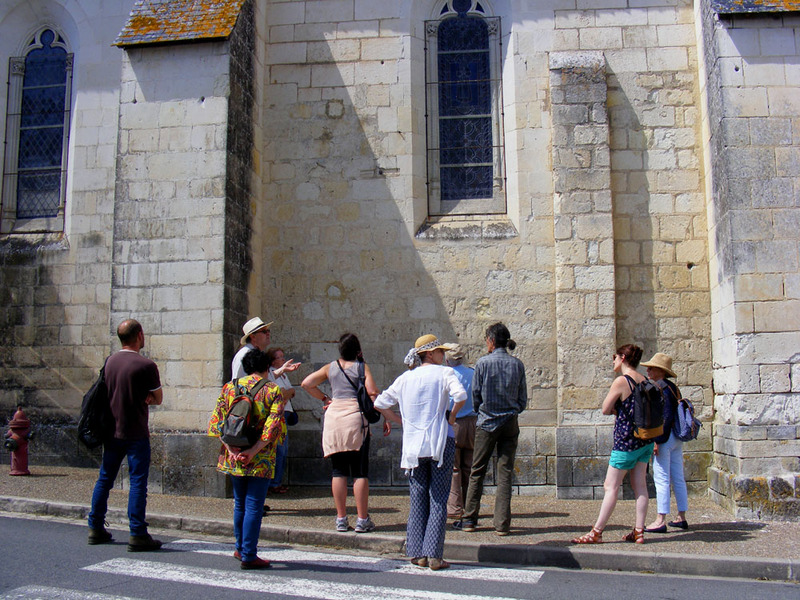 Looking at the sundial in Les Bienneries. We have English friends, Ceri and James, who have a house there, but we didn't think they were in town so I failed to email them to say we'd be in the vicinity. Imagine our amusement when it turned out that not only was James home, but the sundial we'd come to see was on his house! The sundial at Les Bienneries. It's a rather splendid oval shaped one carved out of the local limestone, with an inscription 'PAX HVIC DOM' ('peace upon this house') and dated 1634. Separating the centuries and the decades is a cartouche with a double V and a heart motif. This decorative addition is an exhortation to 'live!' It is apparently traditional to have some sort of aphorism or motto inscribed on sundials. Joël informed us that this is a classic vertical sundial, facing south. To tell the time, the style should be set at an angle of 90° less the latitude, however it's in rather poor condition, so it isn't accurate anymore. (which no longer function because they predate the big 15th century buttresses). 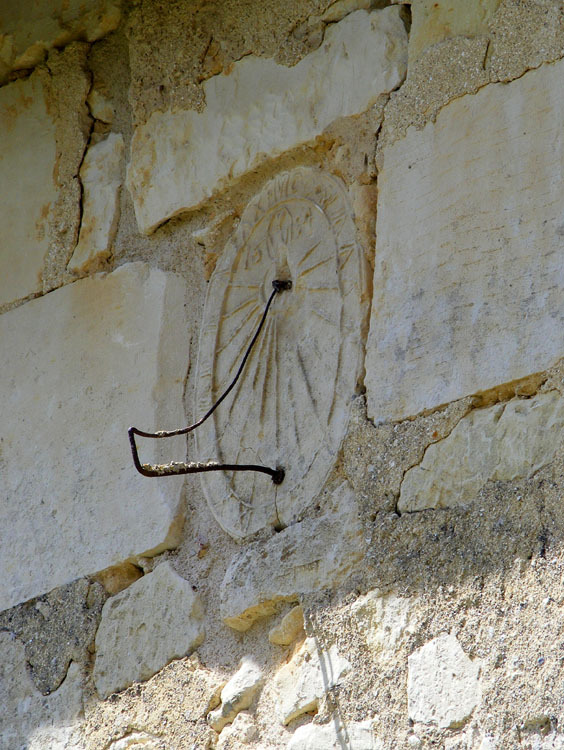 In the first half of the 17th century there weren't many instruction manuals for sundials and the Bienneries one is a relatively simple design, possibly achieved by trial and error. It is the oldest true sundial in Indre et Loire. Joël speculated that it was created by an itinerant sundial maker who was also a journeyman mason or stone cutter, on his Tour de France (a journey undertaken to gain experience with different master craftsmen all around the country). Sundials on the church at Charnizay. After a very welcome drink served by James we moved on to the church in Charnizay. 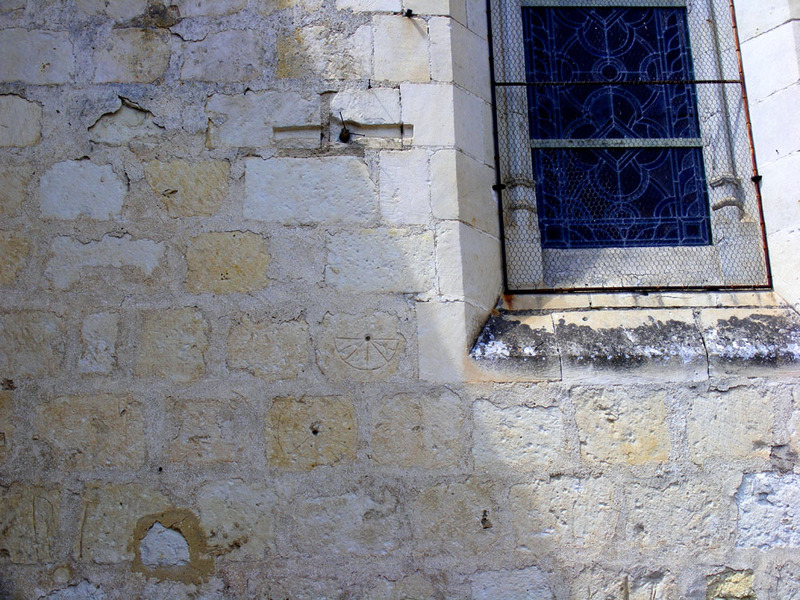 Here, on the south facing exterior wall are the remnants of four canonical sundials (only one of them still clear). The purpose of these is not for the general public to tell the time per se, but for the priest to know when to perform the daily cycle of services. They date from the Middle Ages, maybe the 12th century. They are semi-circles, divided into six, eight or twelve sectors and vary according to the season. When they were etched into the wall the church only had small buttresses, but nowadays the sundials are in the shade of more massive buttresses added in the 15th century. The group moved on to see a modern sundial which had been erected by the former owner at La Ferme de la Petite Rabaudière. The organic market garden and orchard is now owned by Sylvain and Tony and I was a bit sorry not to be popping in to see them, but I'm afraid we skived off and went and visited Niall and Antoinette instead. Our local organic market garden has started having seasonal apéro evenings to reward regular customers and entice new ones. 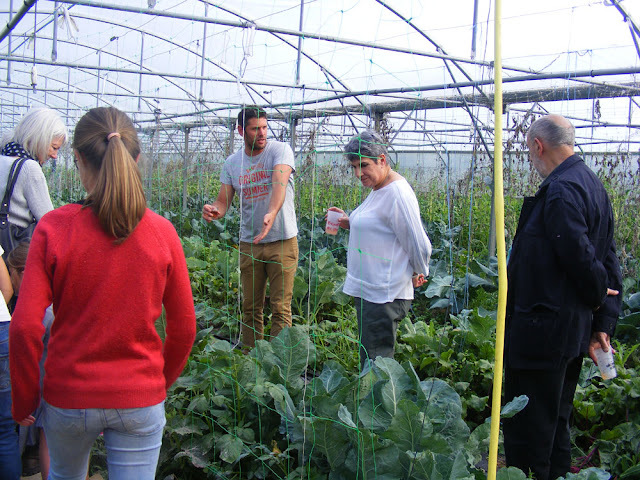 They are scheduled to coincide with their weekly Tuesday evening market and include drinks, farm grown nibbles and a tour of the farm. What's in season in May? Beetroot (betterave), leeks (poireaux), pointed spring cabbage (choux pointu), spinach (épinard), radishes (radis), carrots (carottes), new potatoes (pommes de terre nouvelles), turnips (navets), broccoli (brocoli), chard (blette), kohlrabi (choux-rave), peas (petits pois), strawberries (fraises), cauliflower (choufleur), lettuce (salade), broad beans (fèves), zucchini (courgette), cucumber (concombre). Frances is choosing a cabbage and it looks like Jeanne is heading for the peas. Alain, Pierre-Yves, Pierre, Fabien and Bernadette hover around the drinks and nibbles table. 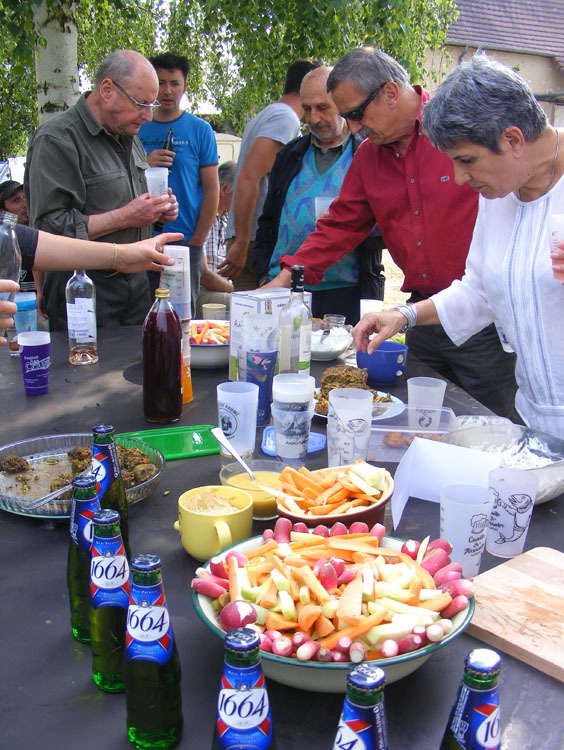 Most of the nibbles were made on the farm from ingredients they had grown. One dish was apparently a cake make from carrot tops. I'm not sure if I had that or not. Everything was very good anyway. The permaculture greenhouse full of cabbages, green beans, potatoes, peas, chard, turnips, beetroot and other vegetables. The rows of vegetables are grown as a carefully planned mixture which mature at different times or support one another. Potatoes are being grown under cabbages, with turnips and beetroot alongside. Peas and cucumbers are growing up trellises with other vegetables growing under them. Weeds are allowed to grow then covered in geotextile so they rot down into the soil, thus nourishing it with all the nitrogen they have collected from the air. 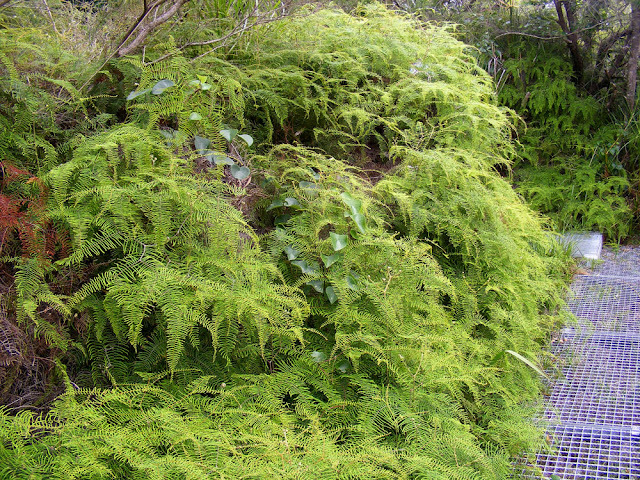 At the far end of the greenhouse is a large patch of nettles, used for making purin, a liquid fertilizer. 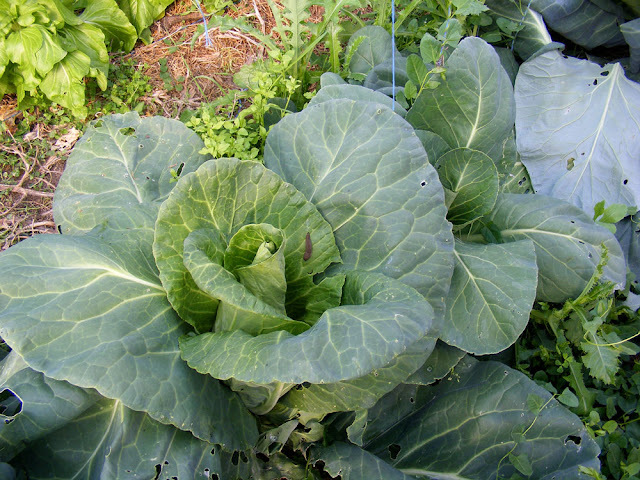 Spring cabbage (Fr. choux pointu), with an interesting looking keeled slug. Experimental orchard growing mixed rows of fruit. 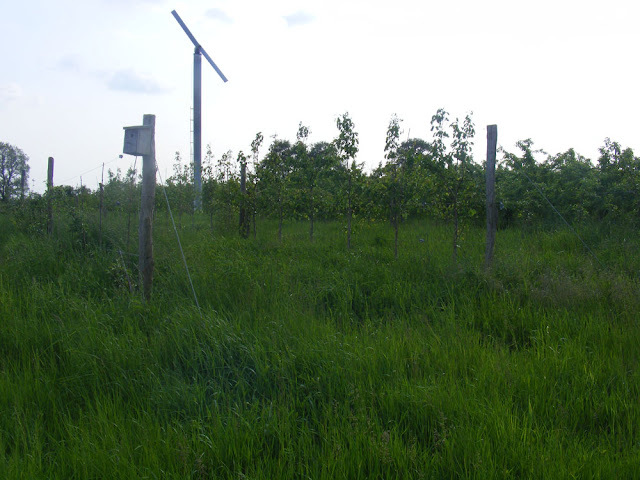 The orchard is rows of mixed fruit trees, to see if that helps control diseases and pests. Poultry, sheep and pigs are allowed to graze under the trees to fertilize them and keep the grass down (although the pigs don't have much respect for electric fences and several times the police have phoned Sylvain to tell him that his pigs are having a party somewhere down the road). Numerous times during the tour of the farm Sylvain pointed out how friable the soil was even with their no dig approach. He also pointed out lots of worms, acting to break down organic matter and aerate the soil with their burrows. Periodically they get a truck load of shredded garden waste from the recycling centre which they dump on a growing area to a depth of about 10cm. 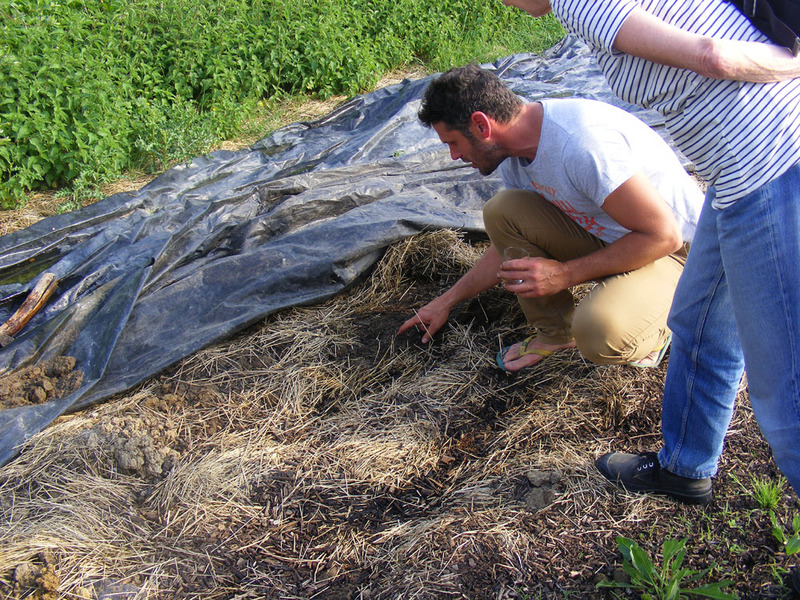 It suppresses weeds and provides nutrients but Sylvain explained that when you plant into it you have to dig a pocket down to the level of the real soil to put seedlings in. 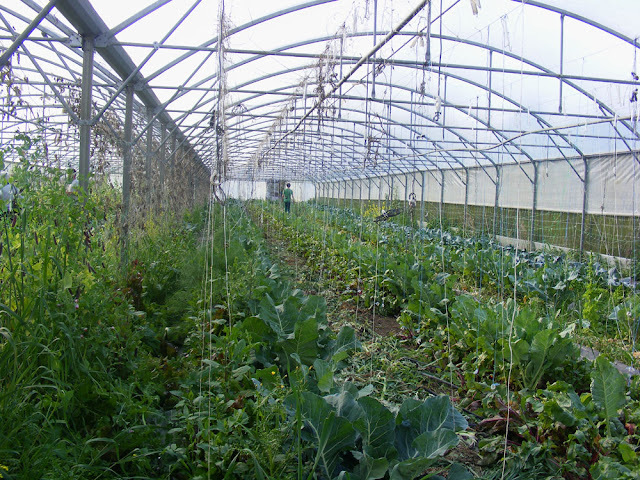 They currently have cabbage seedlings growing in a bed created like this, carefully covered with fine net to prevent caterpillar damage. 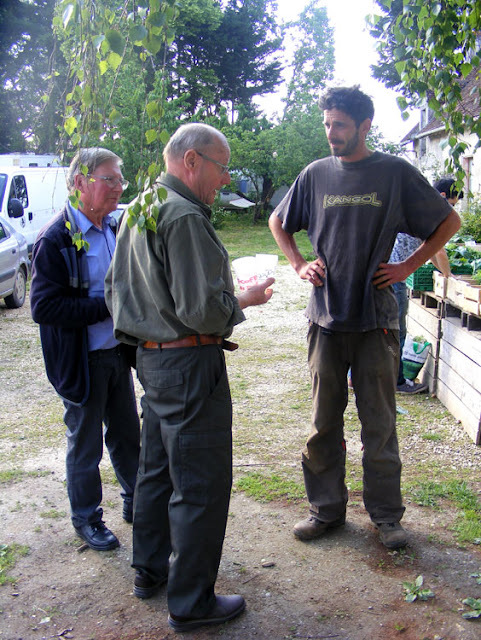 Tony (right), who runs the apple orchard, talking to Gérard and Alain. Sylvain explaining the permaculture techniques used in the greenhouse. The beady eyed amongst you will have noticed that Sylvain and everyone on the farm tour is holding a glass of rosé. But no plastic disposables here. Sylvain, who runs the market garden, is using an old mustard jar (very traditional) and others have acrylic picnic glasses. The farm is Les Jardins Vergers de la Petite Rabaudière, just outside of Preuilly. From Preuilly sur Claise take the route de Loches and turn right at the intersection of the D41 and the D50 onto the small road with an apple orchard on the left. The farm entrance is about 500 metres on the right. Every Tuesday evening from 5 - 7 pm there is an on farm market. 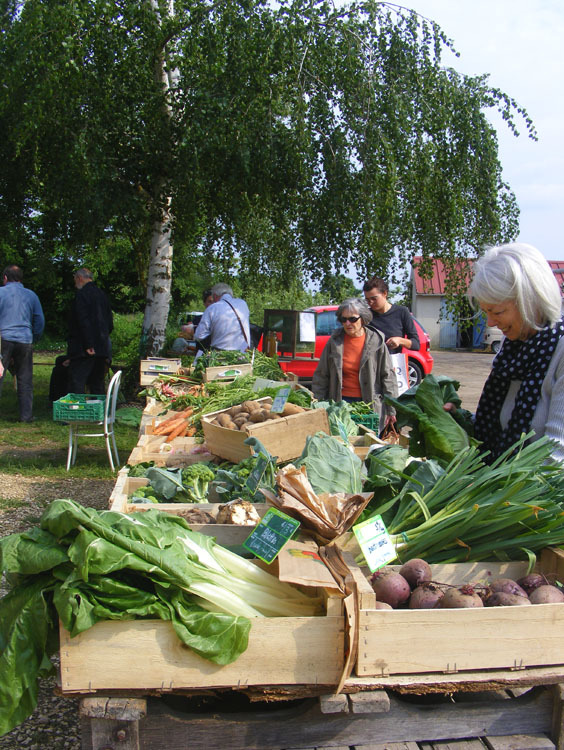 They also come to the market in Preuilly (veggies on Thursdays and apples on Saturday) and supply the Maison des Producteurs in Loches (near SuperU). If you prefer a veg box they have collection points in Cormery, Monts, Ballan-Miré, Civray, Nitray and Chambray-lès-Tours. Tuberculosis was detected in the French cattle herd in the 1950s and vaccination of cattle became obligatory. 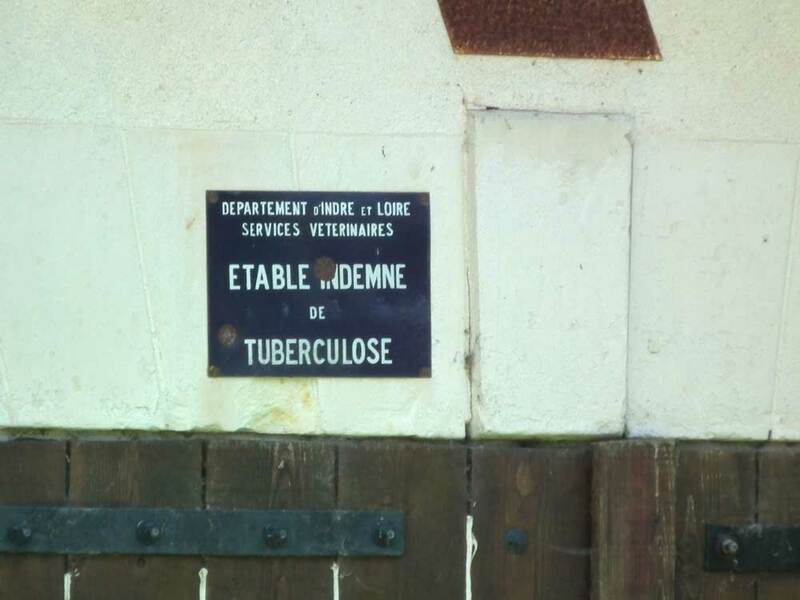 After veterinary checks, the Fédération Nationale des Groupements de Défense du Bétail issued blue plaques saying "Stable Unaffected by Tuberculosis", to be fixed on the doors of the cattle sheds concerned. The checks were performed by (or for) the government vets of each département (county). Each healthy animal had a registration number and could only be sold with its ID card. We saw one of the plaques on Saturday, attached above the door of a building between Charnizay and le Petit Pressigny. I assumed that it was 19th century, simply because it just looked like it, so was amazed when I got home and researched it to find it was relatively recent. I was also amazed that as far as I can remember, I haven't seen one of these before. Judging by the number for sale on Delcampe and Ebay millions must have been issued. In 2001, France was officially declared free from bovine tuberculosis. 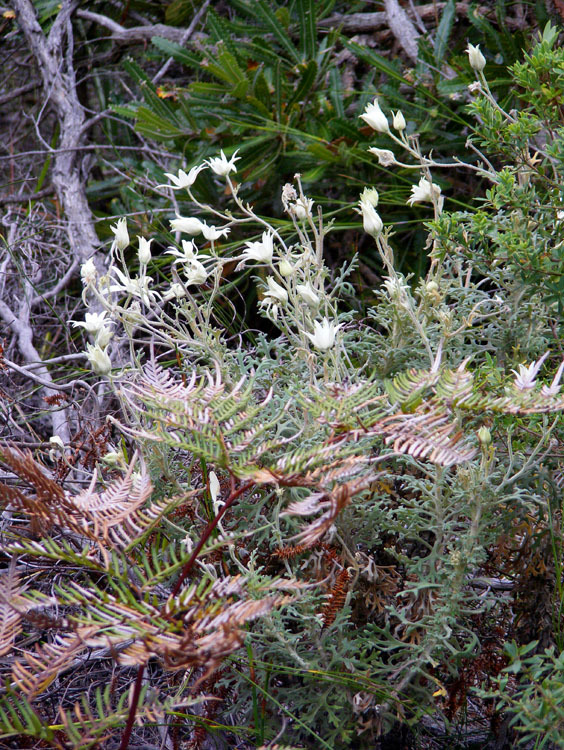 North Head is a promontory of heathland on sandstone cliffs forming part of the natural entrance to Sydney Harbour. 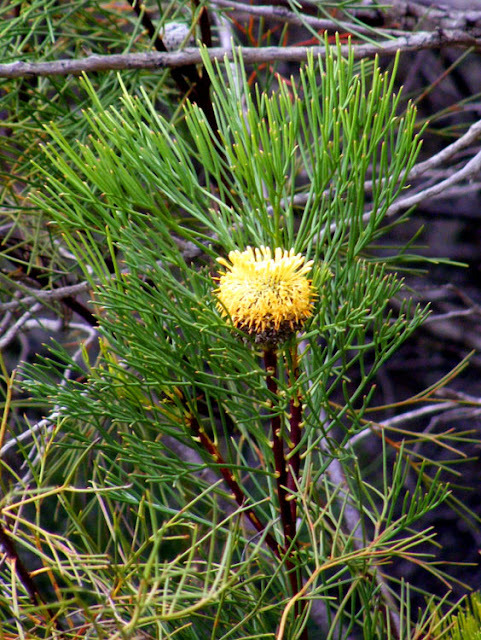 There is considerable evidence of Aboriginal occupancy of the Head, although we didn't see any. After British colonisation North Head was used as a quarantine station for those newly arrived in the colony. One of the cemeteries for those who died in quarantine can be visited and contains the graves of victims of influenza and plague outbreaks. 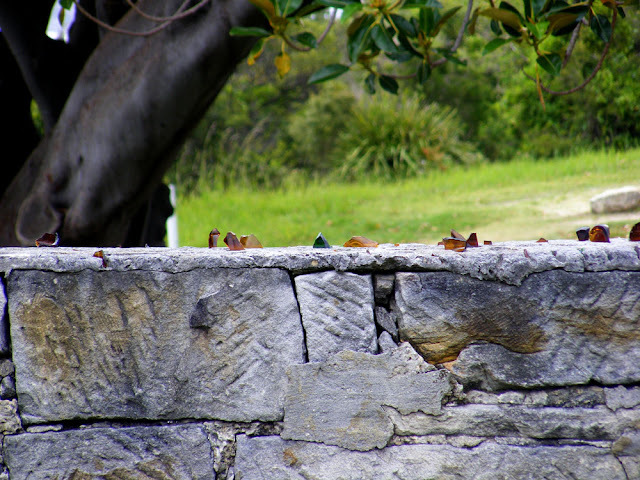 The quarantine station operated until 1984 and was mainly used to control the spread infectious diseases like whooping cough and smallpox brought in by people with inadequate vacinations. Metal grid paths have been installed so that walkers have the least possible impact on this fragile landscape. 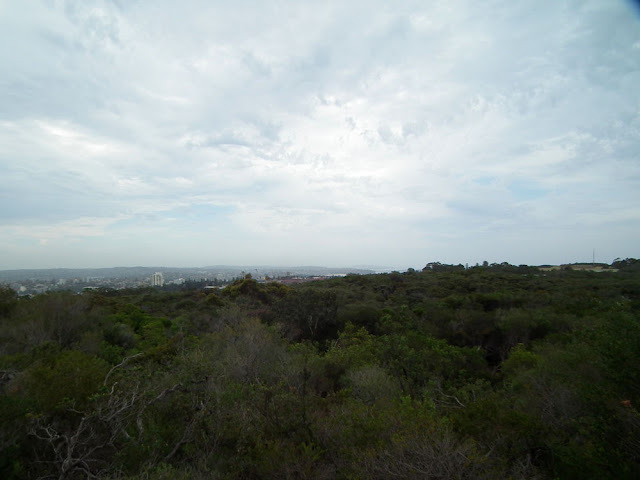 From the 1930s onwards the military occupied North Head and the barracks and parade ground are still there. 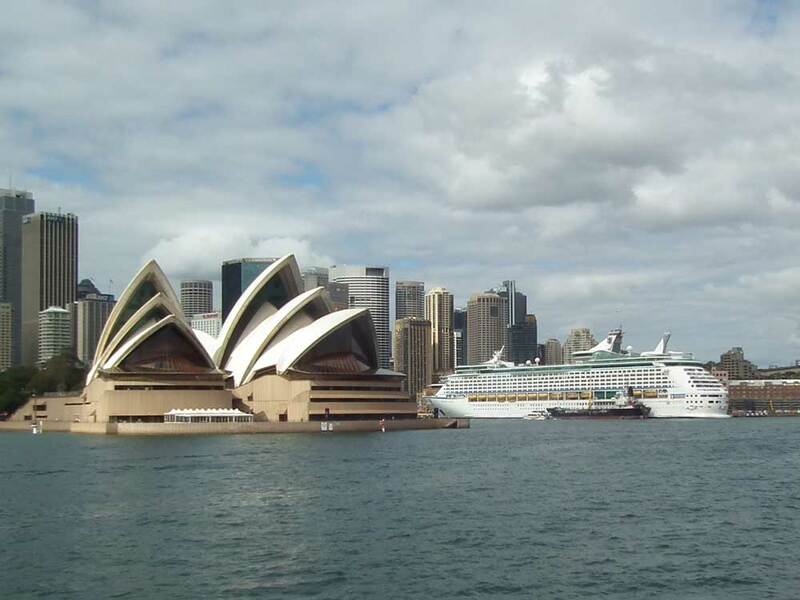 During World War Two this was one of the most heavily fortified sites in Australia, fitted out with big guns to protect the Harbour from enemy ships. Later the facility became the Army School of Artillery, but that has since been relocated to Puckapunyal. 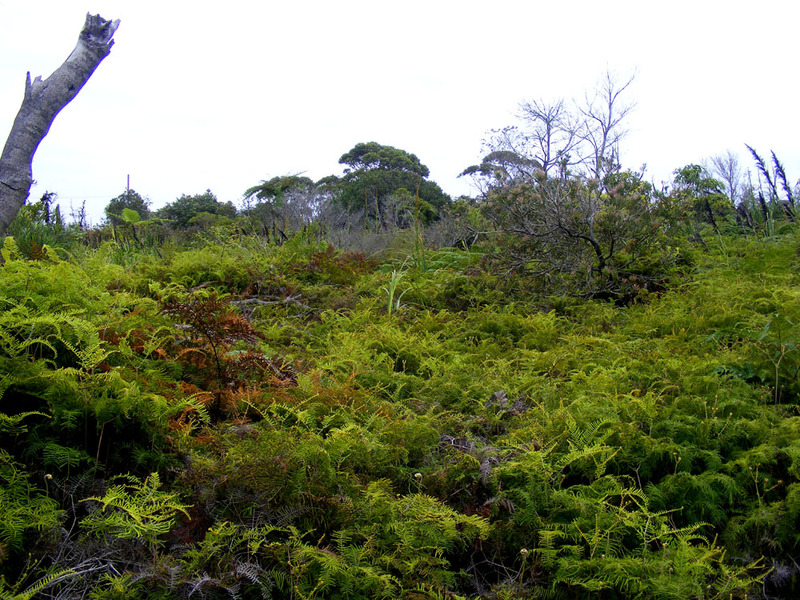 Pouched Coral Fern dominates some areas, along with Swordgrass (the tall plumes mid-distance). In 1975 the quarantine station buildings housed Vietnamese refugees and the next year people made homeless by Cyclone Tracy's devastation of Darwin on Christmas Day. 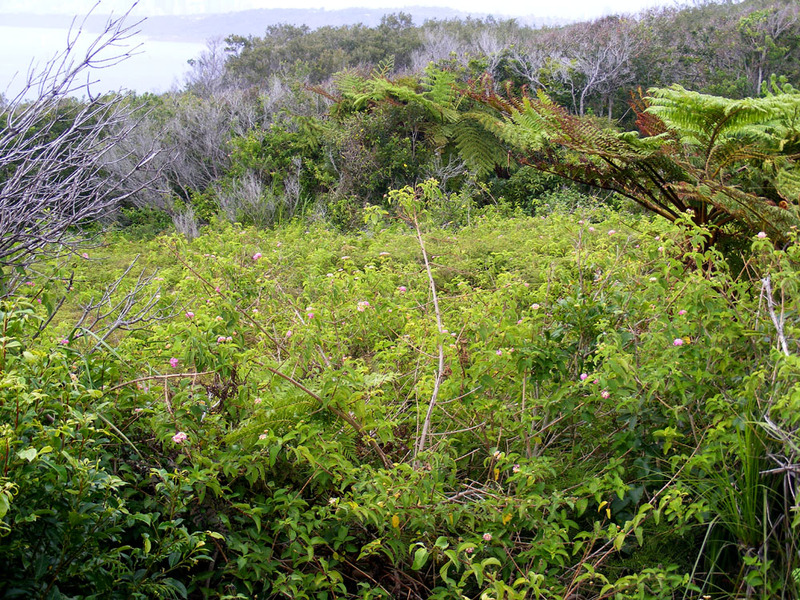 Today North Head is an important and much loved nature reserve, protecting rare coastal scrub habitat. Broken glass on the military compound wall to discourage trespassers. Lantana -- an invasive alien species here, definitely not a lovely garden plant. 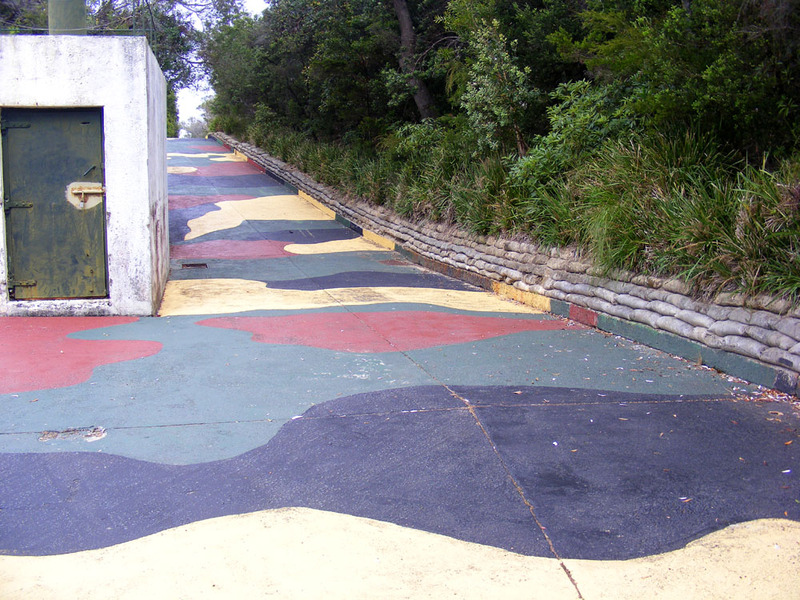 The military roads are camouflaged due to the risk of air attack in the Second World War. Looking across the Heads to Sydney. 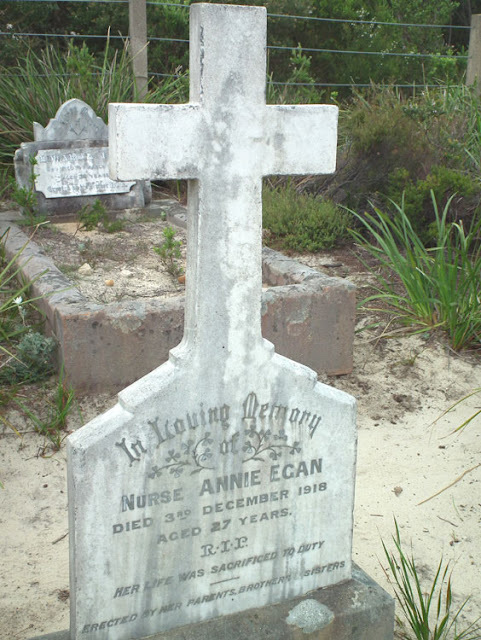 A grave in the Third Quarantine Cemetery. 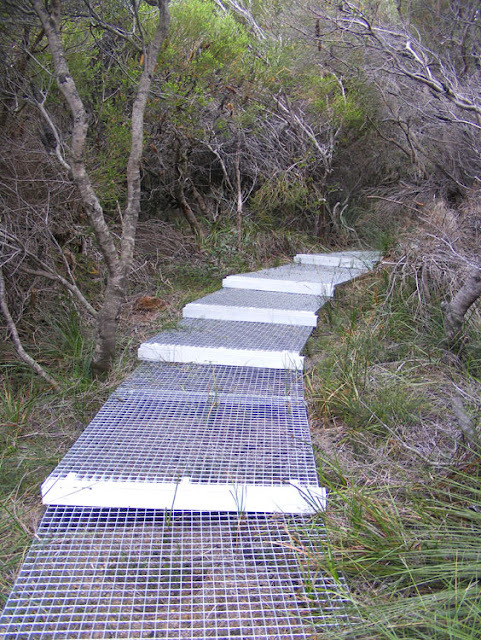 There may or may not be bandicoots. 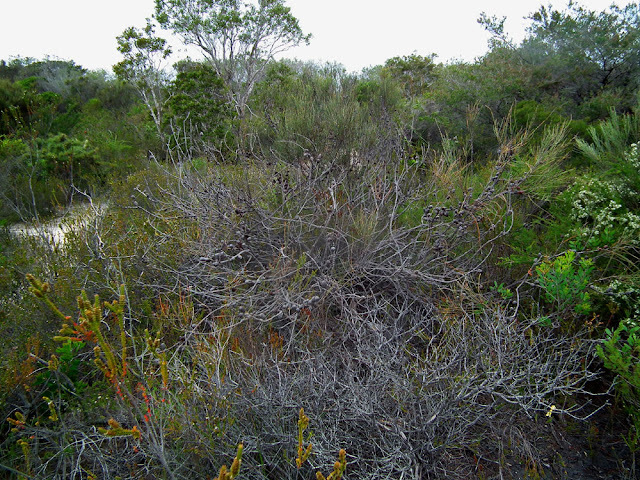 North Head, near Manly on Sydney Harbour is a nature reserve dedicated to protecting the coastal scrub habitat. 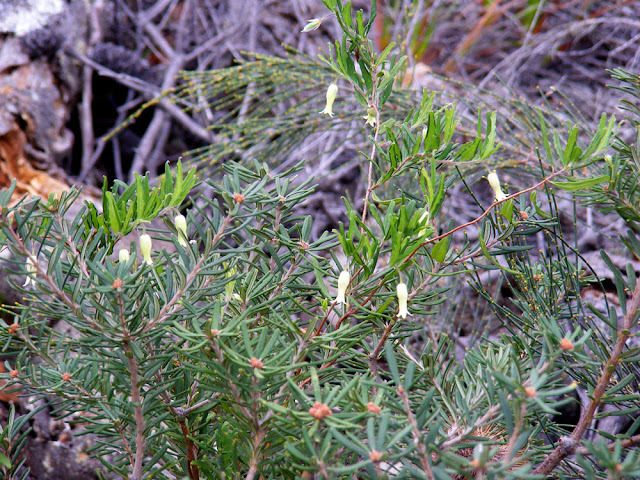 As a result there are some splendidly Australian plants to be found there. New furry red growth on a Saw Banksia Banksia serrata. Pouched Coral Fern Gleichenia dicarpa. 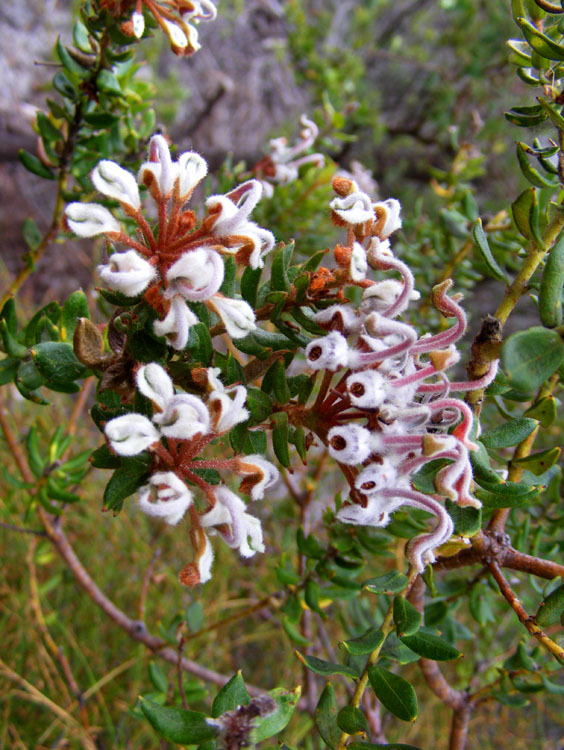 Grey Spider Flower Grevillea buxifolia. To see photos of vertebrates and invertebrates of North Head, click on the links. A couple of weeks ago I mentioned the variety of boats you can see on Sydney Harbour. 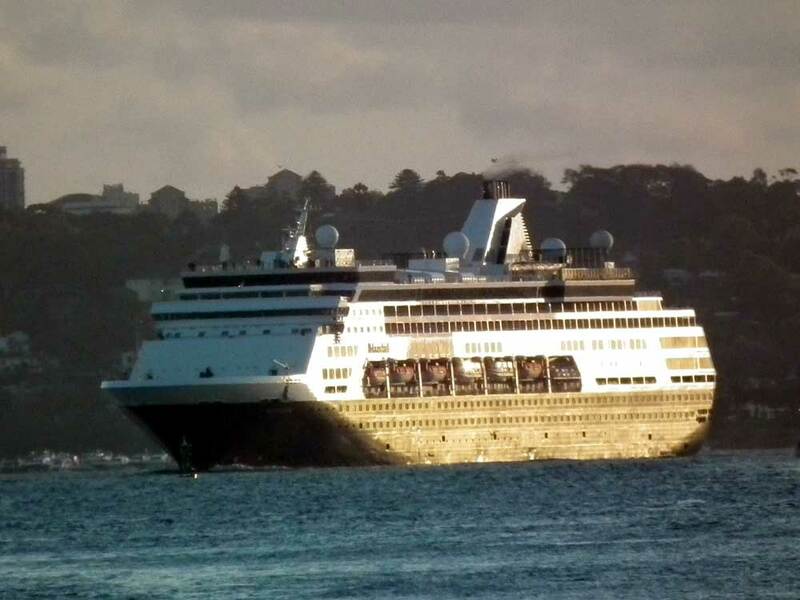 I may also have mentioned pug-ugly cruise ships. I loathe these things for many reasons, not just aesthetic ones. 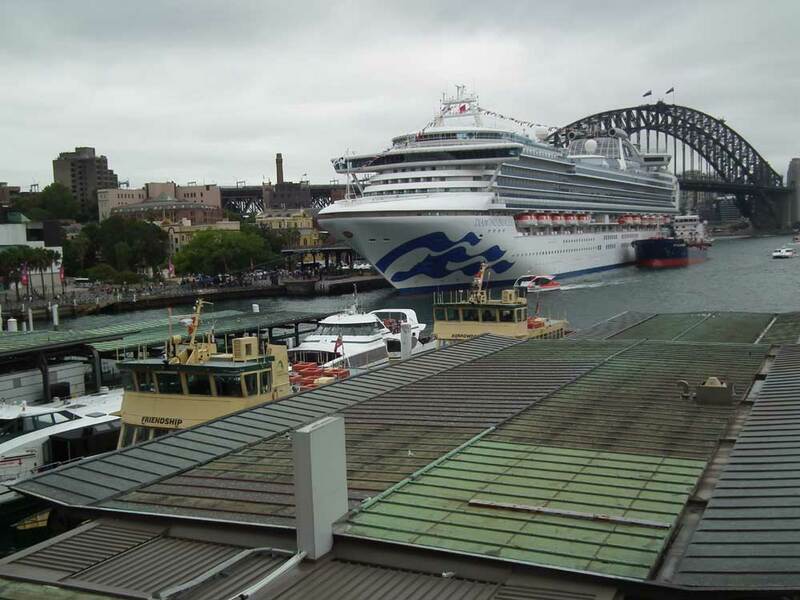 The whole ethos of travelling without experiencing the places you're visiting is an anathema to me, and these boats are hugely polluting, buring the dirtiest of fuel non-stop even when in harbour. If you ever see me on board one of these it means one of either two things - either I have lost my marbles, or I have lost any vestiges of taste I might have. The project to widen the footpaths (sentiers or trottoirs) in Preuilly sur Claise is progressing. At the moment there are two areas of focus: the whole length of Grande Rue, and the Route de Loches where it passes Notre Dame d'Eschelles. 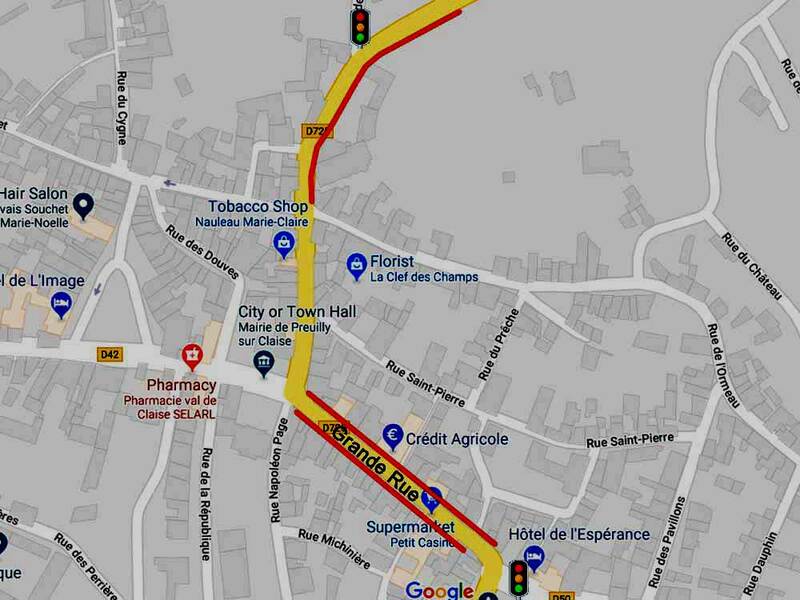 Traffic lights have been installed to control passage past the works, alternating the low of traffic, and heavy vehicles are being directed via Martizay and Azay le Ferron. Because the works cover quite a distance, you can wait up to 3 minutes for the lights to change, and of course, traffic entering the road from any of the side entrances don't know what phase the lights are on. As far as I can tell this has led to confusion rather than serious blockage. The widened footpaths are marked in red, and I have marked where the traffic lights are. Don't get me started on how low contrast Google Maps are - I had to do some serious adjustment to that image before you could see there were any roads on it. Seriously Google - what were you thinking? 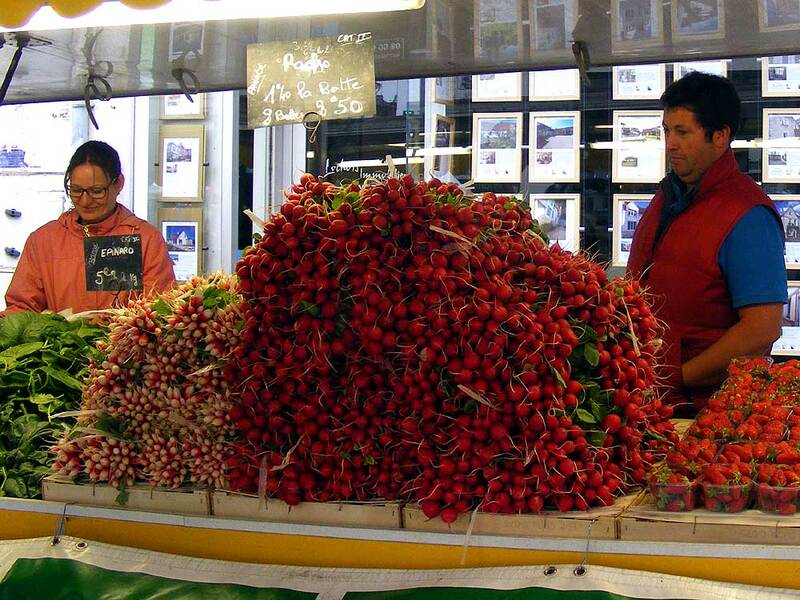 This impressive pile of radishes was photographed at a Wednesday market in Loches. When Susan commented on the quantity of radishes, Fabrice, the market gardener (right) said that it was as nothing compared to the pile he had put out and sold at the previous Saturday market in Loches. 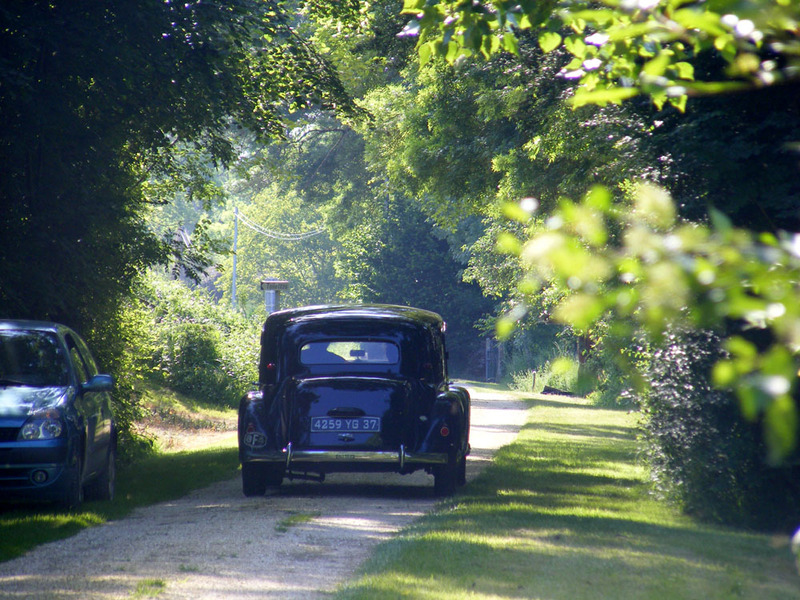 Fabrice's farm is about a kilometre from the chateau of Villandry. One of his great innovations a few years ago was to install a veggie vending machine near the public parking in Villandry. This area, which allowed camper vans to park for free, has over the past year been completely revamped by the local authority. The camper van park has been moved, and for a while Fabrice's veggie vending machine disappeared from the scene. The other day we found out why. His farm adjoins the new camper van park and the council had wanted to buy a plot of land off him, but he refused to sell because it was under cultivation and good productive land. The next thing he knows is that the council are telling him that there will be no place for his veggie vending machine. He was stunned, and offered to pay for a spot, but to no avail. 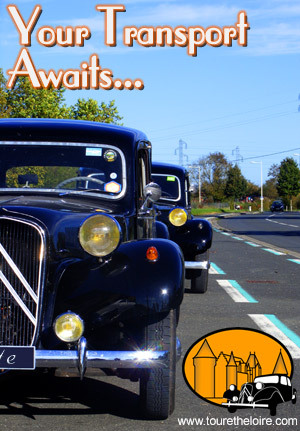 The vending machine provides a real service in Villandry, to both locals and tourists. The village has no proper shops (apart from tourist oriented ones) and the veggie vending machine was bringing in €20 000 a year. Fabrice said that effectively it was his annual profit. Anyway, after a fight of more than a year, his veggie vending machine is reinstated on a new site at the entrance to the new camper van site. Ever resourceful, he tells us he is now planning a steak haché (hamburger pattie) vending machine, which will be stocked with his own beef. Some of you who follow me on Facebook may have picked up that a few days ago I reported flushing a Roe Deer Capreolus capreolus doe (Fr. Chevrette) in the orchard. May is the month Roe Deer does give birth, but I thought she was still carrying her fawn (Fr. 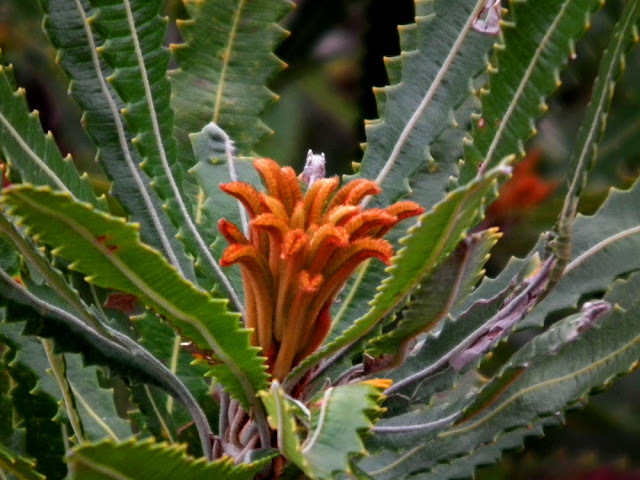 faon). 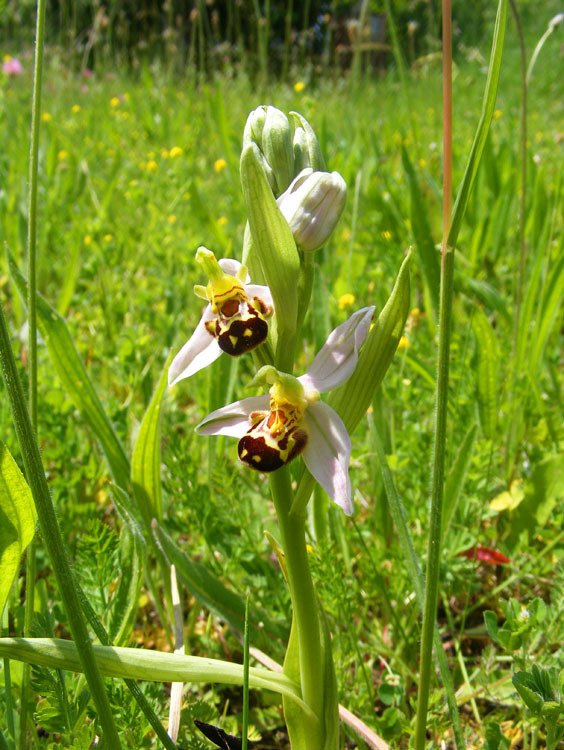 The Bee Orchids are out in the orchard. She isn't now. Yesterday I was walking through the orchard and spotted brown furry ears in the grass. I thought it was the occasional resident Brown Hare Lepus europaeus (Fr. Lièvre d'Europe) at first, but tucked up under an apple tree was a tiny fawn, less than 30 cm long. It must only be a few days old. 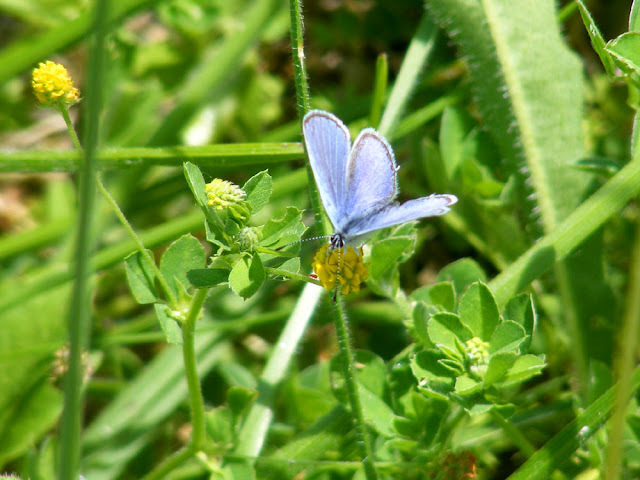 A male Provencal Short-tailed Blue butterfly on its food plant Black Medick, which grows all over the potager. 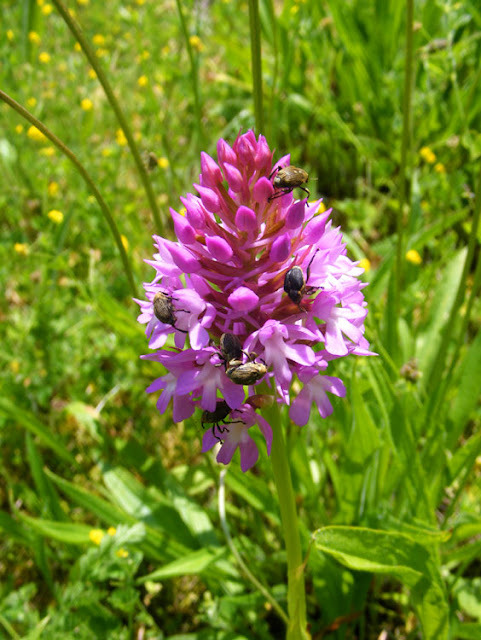 Weevils busily engaged in something on a Pyramidal Orchid in the potager. Of course, this now leaves me with a dilemma. I need to mow paths and under the fruit trees, especially those that will be ripe soon like the cherries. It will just have to wait until the little fella moves on. The mower will scare the wits out of it. Luckily the Aged One won't be mowing for another week either, as his tractor needs a repair. Hopefully we can leave the two orchards as a haven for the fawn for as long as necessary. Roe Deer fawn in the orchard. 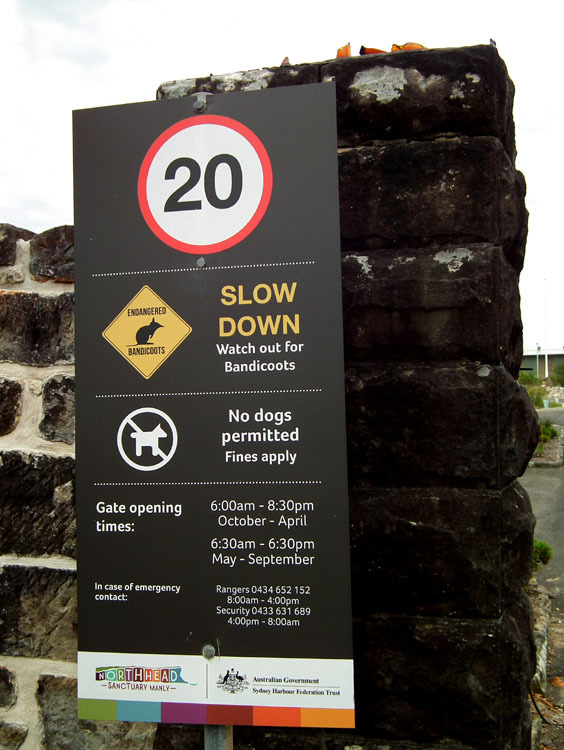 *Something for dog walkers to bear in mind. If you are walking through lightly wooded prairie at this time of year, please keep dogs on leads. 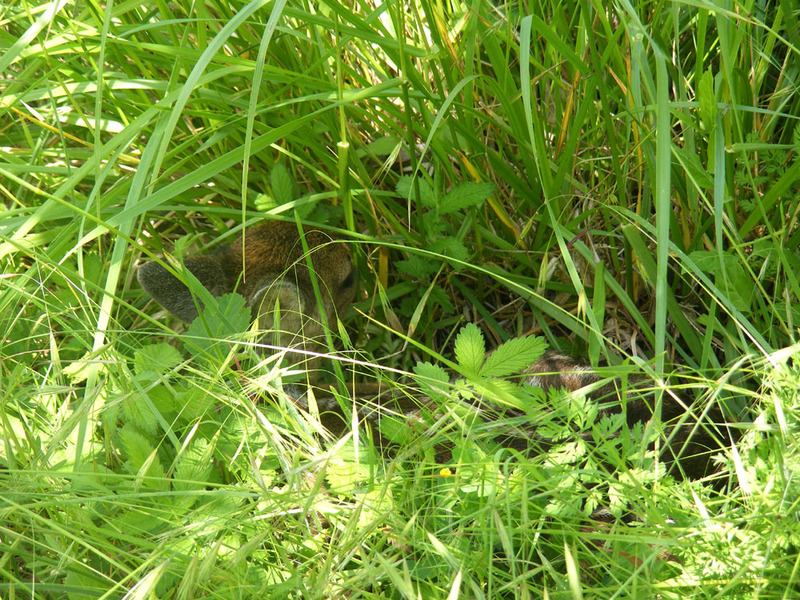 The fawns will sit tight until you are within about half a metre of them. 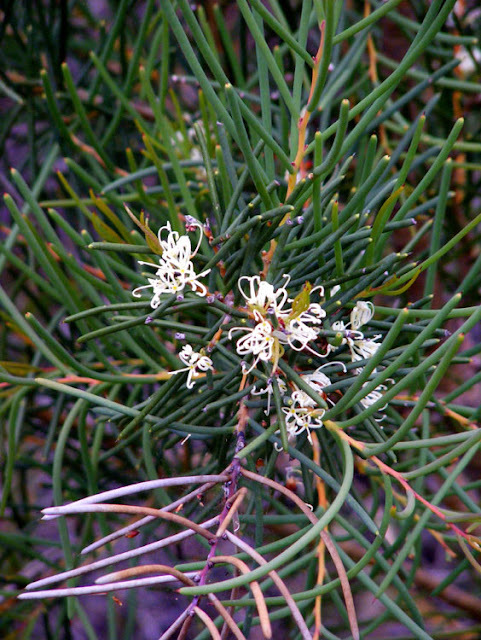 Causing them to run uses up their valuable energy and significantly reduces their chances of survival. Under no circumstances touch them or speak to them (the human voice, no matter how soothing a tone you think you are using, is extremely frightening to them). Another successful Claise ConneXion event under our belts. Yesterday it was a picnic and orchid walk at Chaumussay, attended by about 35 people. We had about a 50/50 split between francophones and anglophones. Célestine trundling down the track at the picnic area. As usual much food and drink was shared. On my table we particularly enjoyed Monsieur and Madame Fouchet's homegrown organic strawberries. 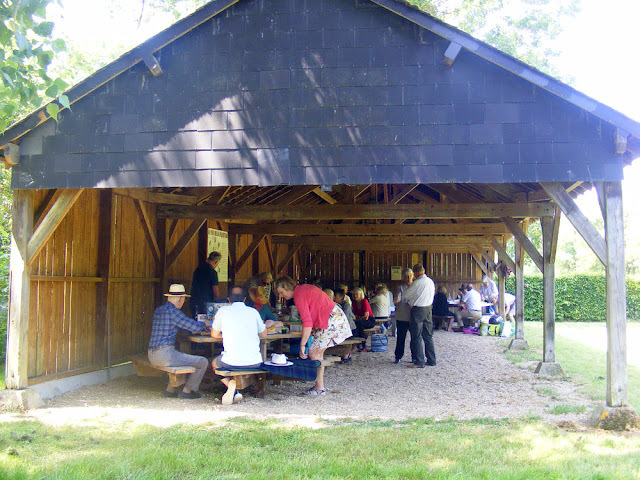 A picnic shed full of southern Tourangeaux. After lunch we walked along the old railway line to La Croix Sourd to look at the orchids that grow on the roadside there. The abandoned railway line is in conversion to a green way but not finished yet. The vegetation has been cleared and the sleepers and rails lifted, but a new track surface not laid. 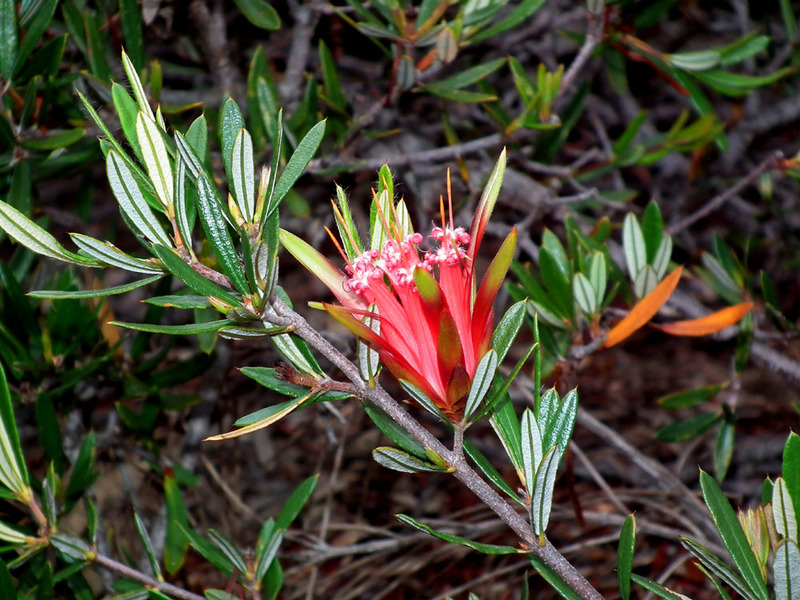 We saw 8 species of orchids in flower. 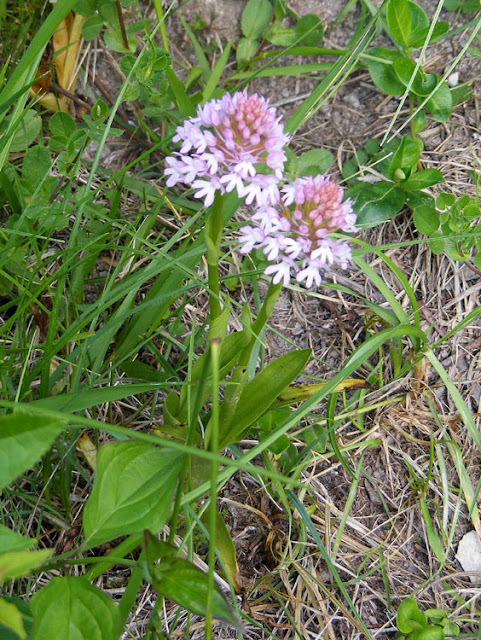 A big thank you is due to Mme Bruneau, the mayor of Chaumussay, who is proud of the orchids in her commune and ensures that roadside mowing is timed to allow the orchids to flower and set seed. Also thanks to her and the commune works department, the picnic area is well maintained, attractive and well designed. Macquarie Place was the first in laid out public space in Sydney and was used informally as the town square when Sydney was a convict town. 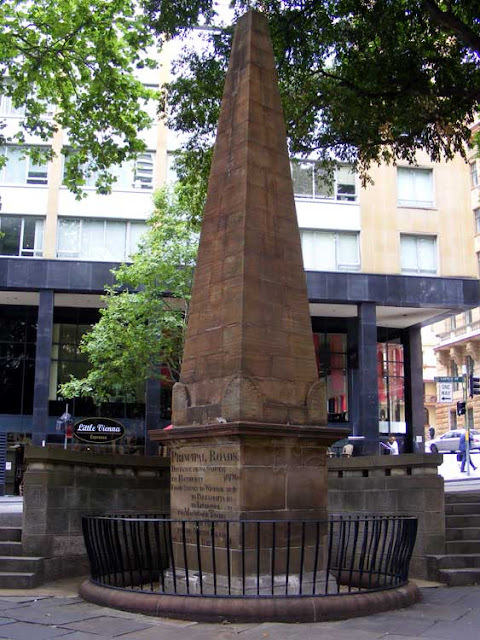 It was deemed to be the point from which distances in New South Wales were measured, and in 1818 an obelisk was erected to mark the spot. The park still exists, although it is much reduced from its original size, and the obelisk still stands and is still the point from which distances from Sydney are measured. I used to know this area quiet well: The Basement, a famous Sydney live music venue, was just around the corner. It has recently (in the past month) closed, and its demise will be long be mourned. Not only was it the go to place in Sydney for live Jazz, Soul, and Blues, but it was also the first place I sampled the delights of deep fried camembert. When we were in Australia we went to the cricket - 5th Ashes Test Match, 4th day. 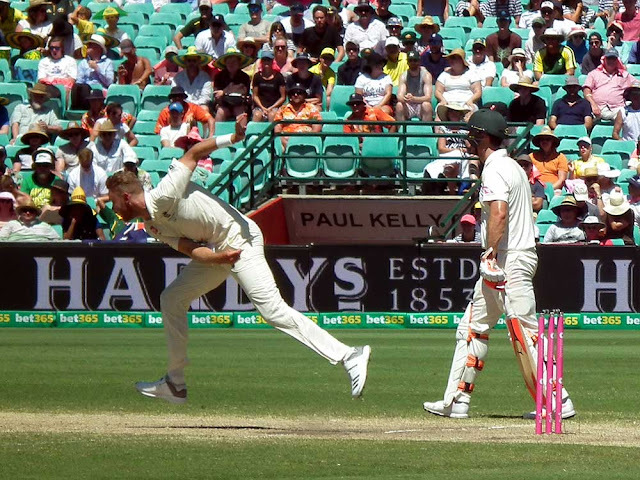 I had bought the cheapest tickets known to mankind ($33 each), which placed us only 5 rows back from the boundary in the families (no drinking) area. That was a deliberate choice, as I have experienced drinking at the cricket before and it just isn't pleasant. We should have been sitting there. 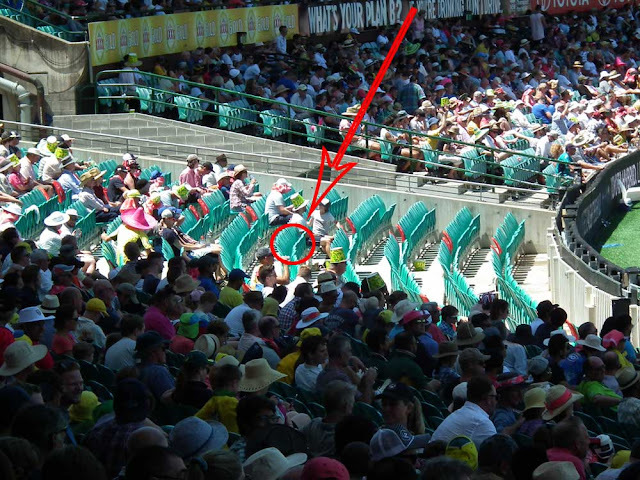 Susan had never been to the cricket before, let alone a test match, but she agreed to go as a cultural experience. 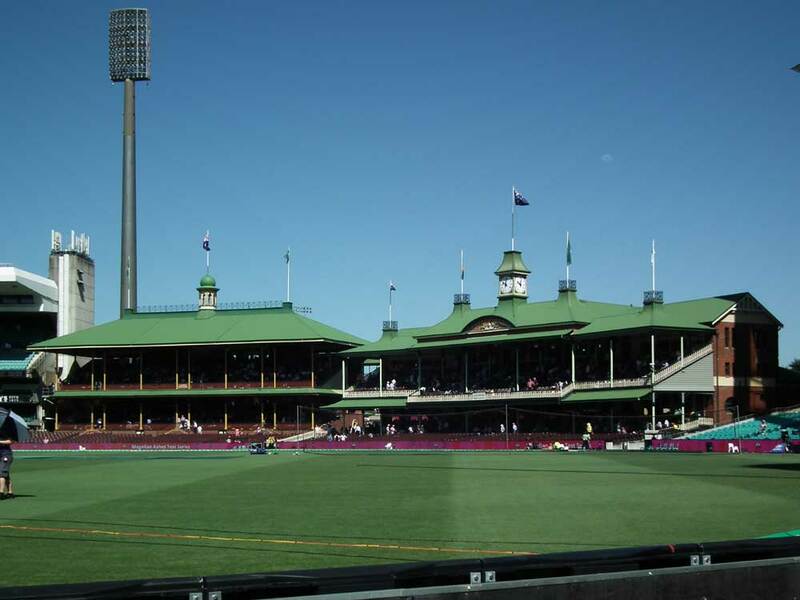 It was fun - the SCG is a great venue. Less great than it used to be back when I started going to the cricket as they have demolished all of the old stands - barring the heritage listed ones - and turned it into yet another boring sports arena, but look in the right direction you get an impression of what it used to look like. 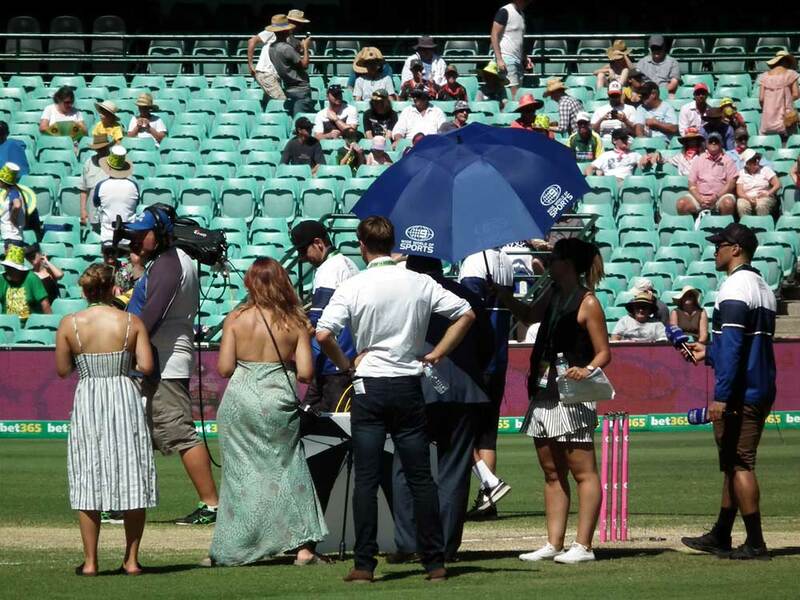 The Ladies' Stand and the Members Stand. Our seats were soon in an unshaded area, so we abandoned them after an hour to stand/kneel/sit on the floor in the shade of the concourse. 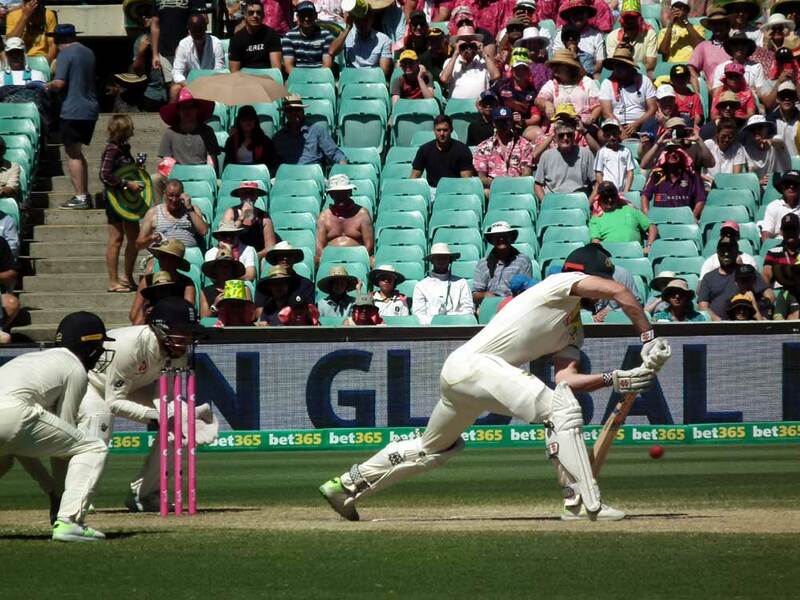 The view was just as good, and the relief from the sun more than compensated for the lack of a seat. We left after 4 hours (drinks, second session) due to the heat, but it was interesting for both of us, and I took some great photos (289 of them! ).